it’s more fun – Have Fun For Life. Everyday I get to commute. I get to see different faces. There are the students who are often nervous (or sometimes anxious) because they’re running of time and might be late on their first subject. There are the blue-collar, white-collar, and non-collar workers which you might think they’re just used to everyday travelling. There are also faces which I always see like the beggars and street children. As in, everyday, it always made me want to see the world more differently. Riding the Philippine National Railways or PNR commuter’s train has always been my daily basis either I’m off to school or way back home. But sometimes, due to some unexpected instances, I don’t prefer to ride the commuter’s train but rather the commuter’s bus. I can say that the bus is much more comfortable than the train. I can sit here and relax while watching a movie or reading a novel. But in the worse case, inside the train is like a disaster. Obviously, it has a huge number of passengers. No wonder because it’s the fastest way to get to your desired location and also the ticket amount. Just imagine it is for only 10 to 15 pesos compared to the bus ticket which may cost you more than that. Everyday these are the scenes that I usually get to watch. 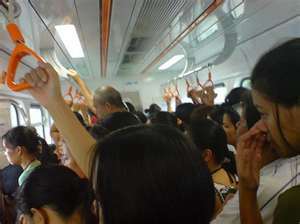 The train is very crowded like no one can almost enter the door anymore. It was very hot inside as if they’re no airconditioners. The worst scenario is that when the train is so full of loading passengers and others cannot enter as they want to and really need to. Perhaps, they’re running out of time. Gosh! Actually, today August 23rd was one of my bad experiences inside the PNR Train! The train did shut down and we all had to wait for the next trip which already was full of passengers loaded in it. We had no choice but to wait and wait until it almost took another hour for us to wait. 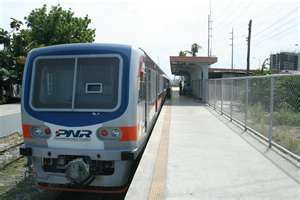 As a student, PNR is my only best choice if I want to commute for school at a cheap cost. Honestly, I really have no choice. But, you know, if you’ll just look to it, the train itself is a resemblance of our country. The economy is booming but there’s still high poverty rates. We get to have high-tech trains but it doesn’t really fit the customers’ expectations and satisfaction. Lots of people choose to sacrifice with this kind of situation because they have no choice but “thrift”. It’s like “this is what they only can afford that’ll do best.” They have to save money to buy their families’ needs. They have to save money because there’s other more important things to consider. This is the life of most Filipinos. I believe that we can overcome poverty at the best time. Maybe not now, but soon. I do not believe that the Philippines is a Heritage of Smallness as what others think. And I really don’t want this to stay forever.